Based in Los Angeles, StackedSkincare® is a clean, vegan, fragrance-free skincare brand created by licensed aesthetician Kerry Benjamin. StackedSkincare applies the technique of combining or “stacking” professional-grade treatments to drive actives deeper into the skin. 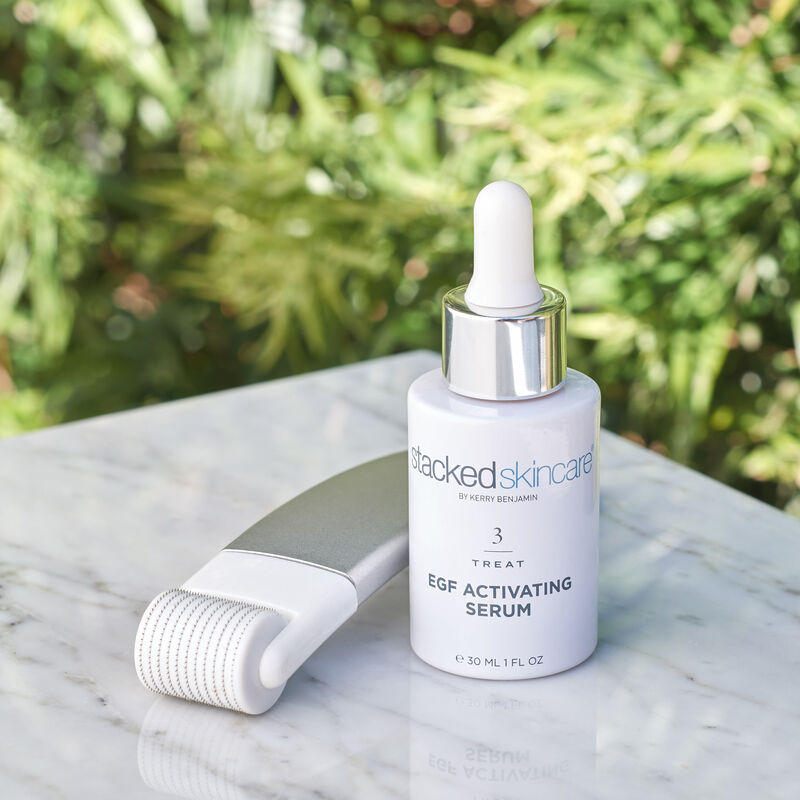 Specializing in serums, peels, and cutting-edge tools, the brand’s formulations are made in small batches to ensure quality and efficacy. StackedSkincare is about much more than just products, it’s about helping people achieve healthy skin so they can enjoy all the beauty that life has to offer. In 2019, StackedSkincare is looking to actively grow their affiliate program, concentrating on mass media and cashback partners to encourage brand discovery and customer loyalty. What is different about StackedSkincare to other beauty brands? StackedSkincare just launched our Clean Beauty Commitment. When it comes right down to it, almost all of us want the same thing: effective skincare made with ingredients that are safe for our bodies and the planet. When sharing this with your customers you can be confident that you are sharing a brand that is transparent in our ingredients. We are vegan, cruelty-free, non-toxic, fragrance free and all the good stuff! What are your goals for the affiliate program in 2019? Our primary goal in 2019 is growing brand awareness for StackedSkincare. This year, we are strategically leveraging mass media and content partnerships to put our brand in front of consumers who have not previously been exposed. We are elated to have started the year off with a bang - launching in both Sephora and Neiman Marcus! This has opened us up to a whole new marketplace of consumers that are interested in skincare and beauty but perhaps unaware of skincare tools and how to incorporate them into their routine. Our largest focus will be on reaching these customers and increasing their education on tools such as Dermaplaning and MicroNeedling. What are benefits for publishers working with StackedSkincare? StackedSkincare is happy to create custom banners, email imagery, and more for the needs of your program. Another added benefit is the volume of content we produce — We have a lot of content created by our founder, licensed aesthetician Kerry Benjamin, and we are happy to work with any affiliate to repurpose our content. We started affiliate marketing after being introduced to Like2Know.it with brand influencers. Many of them use affiliate marketing to work with brands, which lead us to discovering our previous network. Awin fills a much needed gap in what the previous network offered; Not only does Awin offer full account management, they also have a more robust platform that lets us communicate with our affiliates. Our favorite feature is the account management. What many don't know is affiliate marketing is a full time job. You need a person or team to be in contact with your affiliates on a regular basis for it to continue to grow and flourish. Having a team that specializes in this through Awin has you get the most out of the platform. Interested in partnering with StackedSkincare? Please contact StackedSkincare’s account manager Blakeley.